Finally Justice is served! I still cannot believe it took so long to happen – the man is guilty of gross negligence and should have had his license suspended a long time ago. 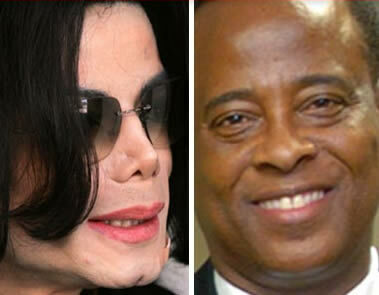 Nevertheless, Dr. Conrad Murray had his medical license suspended today and he will finally have to strand trial in the death of Michael Jackson. As part of the conditions of his bail his medical license was suspended. Murrays argument has been that he needs to work to be able to pay his legal team. Murray has 24 hours to inform Texas and Nevada of the decision. It is still hard to fathom who would actually go to this doctor. If convicted and we can only hope he is – he will serve a mere four years in jail. Not a long time for the crime he committed. I hope his medical license is permanently suspended!